The first amendment gives specific protection to the press because it is intended to be the watchdog of the country, exposing problems in both the government and the private sector. The commercialization of the news has nearly eliminated the watchdog role of the press, pushing it more toward schmoozing the audience instead of informing them. 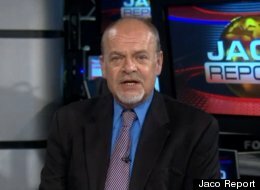 Jaco dropped the ball because intellectual incuriousity has become the new normal. Fact checking has been drowned in the bathtub for economic and political reasons. It is no surprise that conservatives want to go after PBS as the last bastion of the fourth estate not corrupted by commercial interests. If Newsweek is not fact-checking their articles before publishing, then they are more of a news kiosk than a reliable news outlet. The decline of journalism represents a tangible threat to the survival of democracy in America.